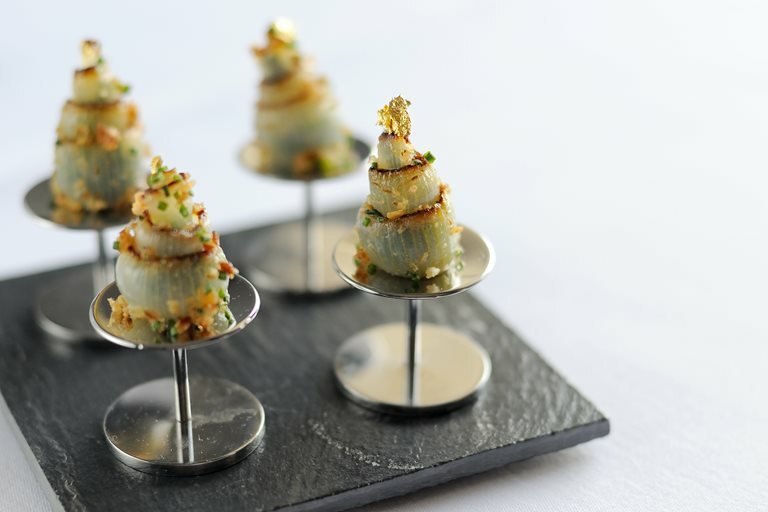 If you are looking for a standout canapé recipe - then this is the dish for you. Simon Hulstone uses strips of onion to enrobe a wild garlic (use spinach if not in season) and snail filling. This canapé may require a little dexterity to put together but it is well worth the effort.